Most people think of Papua New Guinea in terms of National Geographic photo layouts of the highland provinces. 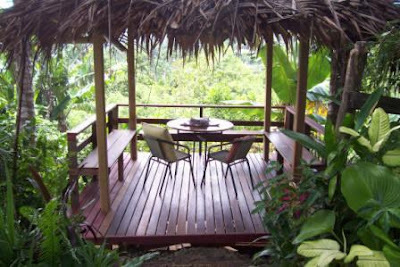 Until I had the privilege of visiting friends in Alotau, Milne Bay in February 2008, I thought the same. Milne Bay province is on the south eastern tip of Papua New Guinea, with some of the remotest island communities in the world. In contrast to the interior of the island, Milne Bay serves as a reminder that the second biggest island in the world, is in the South Pacific - beaches, fishing and diving, coconuts and palm trees, tropical heat and flip flops. 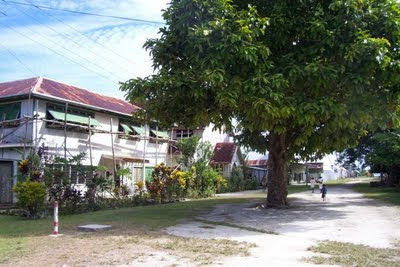 Alotau, the capital of the province, is a quiet, frontier town spreading out from Alotau Bay, up to the hills. The first photo (of the hauswin) was taken from my friends' house, which sits nicely on a hill overlooking the bay. I spent many hours just enjoying the breeze and contemplating nothing. Life as it was meant to be. In town, there's a church street, where on a Sunday, choirs from the different churches can be heard from all directions. At the Catholic church, one can attend mass al fresco. How civilized. 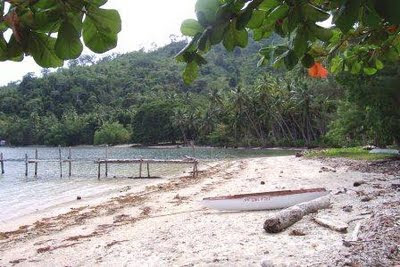 Samarai is the name of a group of islands and the island itself which was the capital of Milne Bay until 1969. We spent the night in Oba, a hamlet of maybe 6 houses, a dozen residents, on Sidea, an island in Samarai. No tv, radio, no cellphone, no internet, a deserted beach, very lush hillsides. 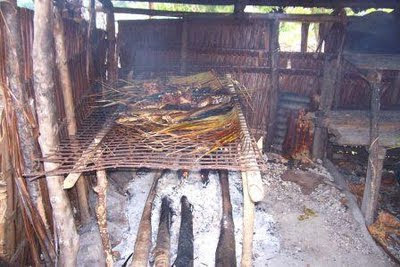 For dinner, freshly caught red emperor fish and smoked tuna. It was a perfect place to unwind, listening to the waves and staring at the starriest night I've seen. The abandoned buildings in the photo are the remnants of the once bustling town of Samarai. 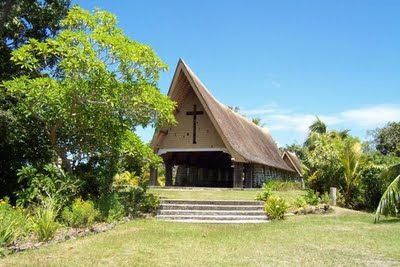 Currently being restored, they are a time capsule of early 20th century Samarai, like a Somerset Maugham or Jack London novel of the South Pacific The church on Kwato island is as impressive from out on sea, like a bird in flight. 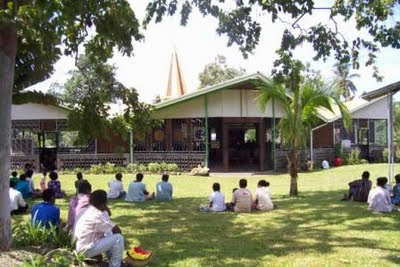 Charles Abel founded the congregation, Kwato Church, over a hundred years ago and contributed greatly to the education and training of the islanders.